Who: Aimed at students 14yrs+ working towards level 1, however students will be extended to level 2 if they are ready. Term Fees: The cost is $80.00 per student, or $75.00 HASCA members. 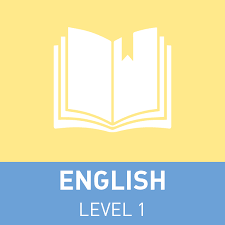 The level 1 English class is limited to 10 students. Includes approx. 1 – 3 hours of homework each week. All class are fully aligned with NCEA and can be used to earn NCEA Credits through Tekura. All classes are also approved for credits towards the CENZ Certificate through Home-Schooling NZ. All classes are on Thursdays at the North Shore YMCA, Akoranga Drive, Northcote, to coincide with other Homeschool activities on offer. 1) Intro to literary analysis. 2) Personal Response Writing to NZ Literature. These classes have been approved for a foundation credit towards the CENZ Certificate through HSNZ and may also assist in preparing students for NCEA level 1 English. Nina also offers a Senior Literature Class students completing level 3 English, plus all levels of Visual Arts. See What’s On?! for details.